At BP Logistics we train our staff with techniques that help them to perform better at work. 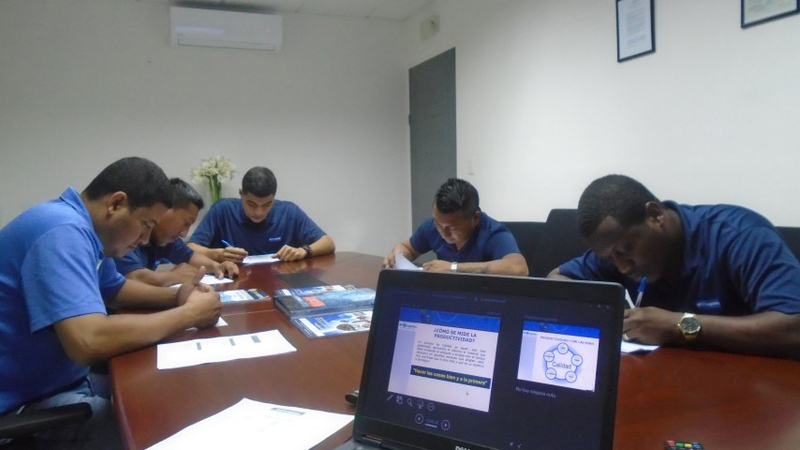 A training on kaizen and productivity was held in March. At the end of the training, each staff member was evaluated. Learn a little more about the topics covered in the training. Zen – Good for others. Kaizen = Reflective acts of continuous improvement. Kaizen (Continuous Improvement): Means small improvements made as a result of progressive efforts. Innovation: It implies a drastic improvement as a result of a large investment in new resources (technology, equipment, manpower, etc.). Reducing costs through the elimination of waste at process levels. Continuous, gradual and orderly improvement. Generate ideas and concepts and test them. If they don’t work, try something additional or different. Make changes with significant results and at low cost, usually in less than 5 days. Relationship between the quantity of products obtained by a productive system and the resources used to obtain such production. Relationship between the results and the time taken to obtain them: the shorter the time it takes to obtain the desired result, the more productive the system becomes. In reality, productivity should be defined as the efficiency indicator that relates the amount of resources used to the amount of production obtained.